AABSyS Information Technology Private Limited, a premier GIS, CAD and software services company in India, had recently participated in the ESRI User Conference 2016 at San Diego, California, USA. AABSyS IT was represented by Dy. Managing Director Mr. Rajen Tanwar. AABSyS Information Technology, a leading GIS, CAD, software and IT outsourcing company in India, attended the ESRI User Conference 2016 held at San Diego, California, USA during 27th June – 01st July 2016. ESRI User Conference is a platform that brings together a wide spectrum of geospatial applications including socio-economic, business, and environment. The conference addressed a wide range of topics including national security and public safety, spatial problem solving, smart mapping, WebGIS, GIS in Education, Mapping of forests in America, GIS in healthcare, green infrastructure, real estate, mobile governance, etc. User Conference 2016 also conference also included several events such as Academic GIS Program Fair, map gallery, GIS Managers’ Open Summit, pre-conference seminars and a User Conference Expo. 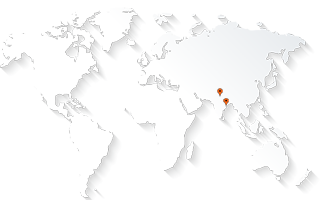 AABSyS is a leading provider of GIS, CAD and Software services to clients worldwide. The company brings together deep domain expertise, talented personnel and 18 years of experience to meet a variety of customer needs in geospatial and IT services. The company has a state-of-the-art infrastructure and world-class facility at Infocity, Bhubaneswar and maintains a highly successful track record of working with an impressive set of national and international clientele.